삼성전자가 웨어러블 기기인 삼성 기어2와 기어 핏의 가격을 확정했다. 삼성이 어제 대만에서 공개한 기어2와 기어 핏의 가격은 각각 $295(약 31만원)와 $197(약21만원)이다. 기어2의 가격은 전작인 갤럭시 기어의 $300보다 약간 낮은 수준이다. 삼성전자는 지난 2월 스페인 바르셀로나에서 열린 MWC에서 갤럭시 기어 후속작인 스마트워치 삼성 기어2와 스마트 밴드 기어 핏을 선보였다. 두 스마트 기기는 전 세계에 4월 11일 출시 될 예정이다. 보급형 스마트워치인 스마트 기어 네오의 가격은 아직 확정 되지 않았지만, $200 중반으로 출시 될 전망이다. 또한 삼성전자는 기어2의 새로운 모델인 USIM이 장착된 스마트워치를 출시 할 예정으로 알려졌다. SK텔레콤을 통해 한국 시장에서만 선보일 예정이고, 해외 시장 출시는 아직 미정으로 알려졌다. 한편 갤럭시 S5의 가격은 80만원 초반대로 확정된 것으로 알려져 주목을 받고 있다. 대만의 발표 행사장에서 삼성전자갤럭시 는 S5의 가격이 16GB는 2만2천800 대만 달러(약 80만6천원), 32GB는 2만3천800 대만 달러(약 84만원)가 될 것이라고 밝혔다. Samsung Electronics announced that its latest smart watch and fitness tracker Samsung Gear 2 and Gear Fit will be priced at $295 and $197, respectively. The price information came from Taiwan Wednesday, where the Korean smartphone maker first introduced the wearable devices in the local market. Samsung officials here in Korea also confirmed the new reports on the latest development. The price for the Samsung Gear 2 is a little lower than the initial price for the Galaxy Gear, which came with a $300 price tag. 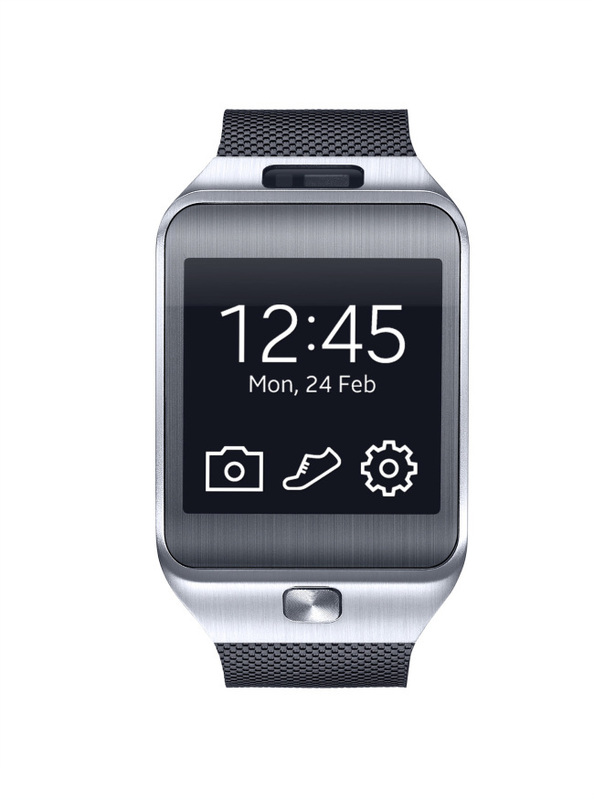 The release of the Gear 2 and Gear Fit is scheduled for April 11 worldwide, according to a Samsung official. The tech giant first unveiled the smart watch and fitness device at the Mobile World Congress 2014 in Barcelona. The price for the budget model of the smart watch, called Samsung Gear Neo, has not yet been unveiled, but it is anticipated to be set in the mid-$200’s. Meanwhile, a new variant of the Samsung Gear 2, equipped with a universal subscriber identity module, or USIM, is said to be on the way. The USIM-embedded Samsung Gear is expected to be released through SK Telecom, the largest Korean mobile carrier in Korea. It is not known if the standalone smart watch will be available in the global market.